The Network File System (NFS) allows a host to export some or all of its file systems so that other hosts can access them over the network and mount them as if they were local. 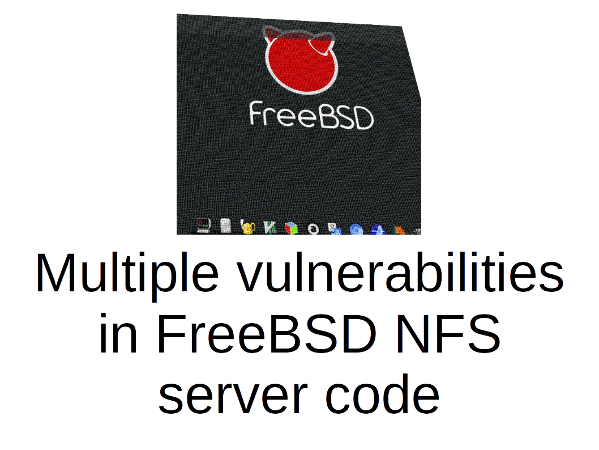 FreeBSD includes both server and client implementations of NFS. Insufficient and improper checking in the NFS server code could cause a denial of service or possibly remote code execution via a specially crafted network packet. No workaround is available, but systems that do not provide NFS services are not vulnerable. Additionally, it is highly recommended the NFS service port (default port number 2049) is protected via a host or network based firewall to prevent arbitrary, untrusted clients from being able to connect. Please note that if you are using a custom kernel, you need to compile a FreeBSD kernel. 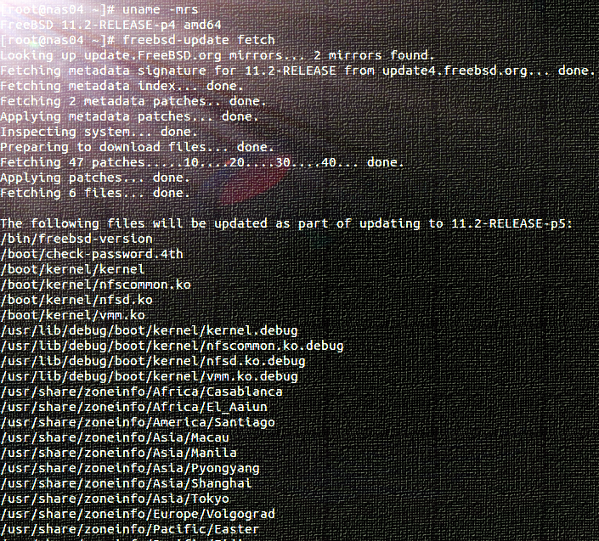 The freebsd-update based binary method only works if you are using stock FreeBSD kernel. It is essential that you apply the patch binary or source code method to fix NFS related security issues. For more info, please see this page.